Professor Smith will present a public lecture, “Chemical Evolution with Phage Display”, at 2 p.m. April 10 in The Hotel at Auburn University and Dixon Conference Center auditorium, which will be followed by a reception. On April 11, he will be available to meet with faculty and students at the College of Veterinary Medicine. Smith’s visit follows Auburn’s April 9 Student Research Symposium in which nearly 600 students will present their research and creative scholarship projects. “Phage display is a new way of thinking, a new paradigm in research. I am very happy that Dr. Smith and the phage display invention and its translation to phage nanobiotechnology, protein and material engineering received the highest scientific and public recognition over the world,” Petrenko said. Smith obtained his doctorate in bacteriology and immunology in 1970 at Harvard University. 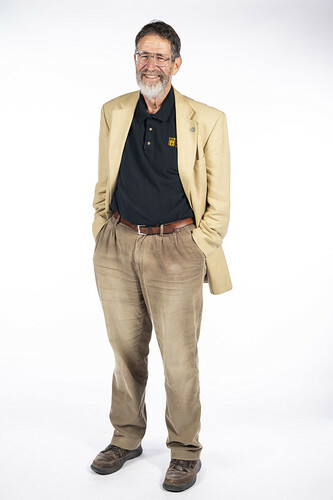 He spent most of his career, 1975-2018, at the University of Missouri in Columbia, as well as time at Duke University in 1983–1984, where he began his Nobel Prize-awarded work. His visit to Auburn University is sponsored by the Office of the Vice President for Research and the College of Veterinary Medicine’s Joy Goodwin Lecture Series. The lecture series was established in 1984 by donor Joy Goodwin to bring in visiting scholars in support of research and teaching interests of the faculty and students. To date, this endowed program has sponsored over 130 seminars covering a wide range of topics. The speakers are chosen because of their documented leadership in a particular discipline of interest to the college. More information is available about the lecture series online or by contacting Bartol at bartoff@auburn.edu. The College of Veterinary Medicine is the South’s original and nation’s seventh oldest veterinary medical program, celebrating 126 years. We prepare individuals for careers of excellence in veterinary medicine, including private and public practice, industrial medicine, academics, and research. The college provides programs of instruction, research, outreach, and service that are in the best interests of the citizens of the state of Alabama, the region, the nation, and the world.